FID-D Venture Company has developed and produced the only unit in Russia for the disposal of devices and waste containing mercury with complete recycling. The equipment makes it possible to perform thermal demercurization in a safe manner, as evidenced by the results of the state environmental review. Our customers are enterprises for the disposal of fluorescent lamps, for the collection and disposal of mercury-containing waste, demercurization centers, emergency departments, metallurgical plants, city administrations, organizations specializing in gold mining. The management of the collection of mercury-containing wastes and their subsequent disposal is an actual problem. The most characteristic mercury wastes are faulty thermometers and used fluorescent lamps. Due to high light output, low operating temperature, long service life, low power consumption and low cost, such lighting devices are becoming more popular every year. Therefore, the services of any company for the disposal of fluorescent lamps are in high demand. FID-D Venture Company has developed equipment for mercury recovery, focused on the organizations for the disposal of mercury-containing waste. URL-2m is a unique, reliable unit that allows the environmentally safe extraction of mercury. The equipment is patented and certified for compliance with TR CU (Technical Regulation of Customs Union). The organization for the disposal of mercury-containing lamps, depending on the operating conditions, can order a stationary or mobile URL-2m unit. Each company for the disposal of fluorescent lamps and other mercury-containing waste when using our technology can extract 99.9% of mercury. After recovery, you get metallic mercury and demercurized cullet of the 5th grade. To clarify the information and order the equipment demonstration, call one of the specified numbers on the "Contacts" page. demercurization of the construction materials, debris from demolition and disassembly of the industrial buildings, soils, activated carbon, gates, ore, phosphor, stupa. The management of the collection of mercury-containing wastes and their subsequent disposal is an actual problem. The most characteristic mercury wastes are faulty thermometers and used fluorescent lamps. Due to high light output, low operating temperature, long service life, low power consumption and low cost, such lighting devices are becoming more popular every year. Therefore, the services of any company for the disposal of fluorescent lamps are in high demand. FID-D Venture Company has developed equipment for mercury recovery - URL-2m - focused on the organizations for the disposal of mercury-containing waste. 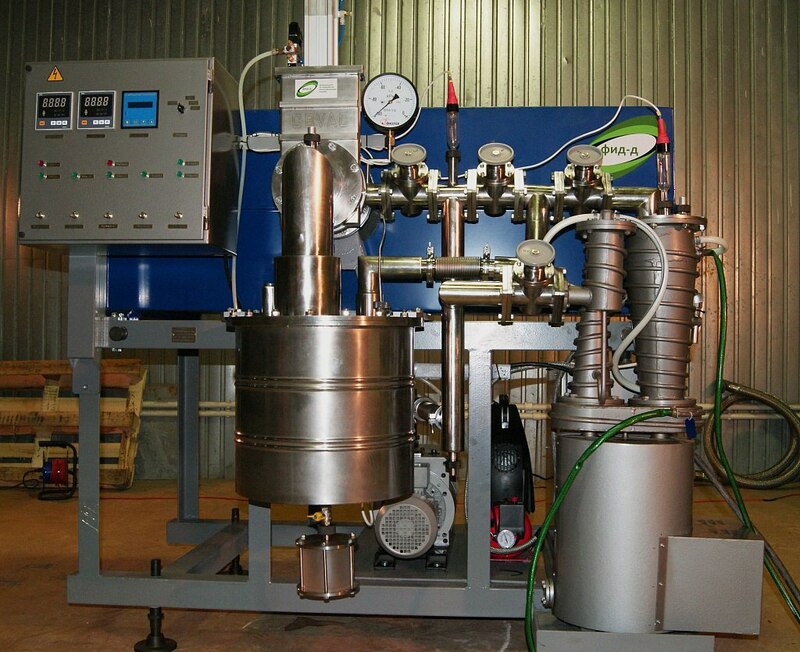 This unique, reliable unit allows the environmentally safe extraction of mercury. The equipment is patented and certified for compliance with TR CU. The organization for the disposal of mercury-containing lamps, depending on the operating conditions, can order a stationary or mobile URL-2m unit. When using our technology, each company for the disposal of fluorescent lamps and other mercury-containing waste can extract up to 99.9% of mercury. After recovery, you get metallic mercury and demercurized cullet of the 5th grade. To clarify the information and order the equipment demonstration, call the specified number.